Everyone can raise the birthday bar! ‘Everyone can’ raise the birthday bar! Vous êtes ici : Home / ‘Everyone can’ raise the birthday bar! Offering a combination of fun and excitement, Clip ‘n Climb’s challenges guarantee the most memorable of experiences for any birthday boy or girl and his or her guests. The colourful and unique challenges are suited to a wide range of ages, providing the perfect way to entertain the most varied selection of groups, ensuring that everyone has the best time. Birthday parties are a great source of revenue, presenting a plethora of opportunities for Clip ‘n Climb owners to increase their takings. A successful Clip ‘n Climb centre can host up to 15 birthdays per week. From cost per head to extras like bespoke catering options, costume characters, invitations, party bags and cakes, birthday parties can generate a healthy source of income for Clip ‘n Climb owners, while providing guests with maximum entertainment and fun. An average price per person for a birthday party is between 20-30 euros depending on what is included in the package. Clip ‘n Climb offers a fun and bright environment, with some spaces providing areas that can be utilised for games and dancing, while others may even have potential, dedicated party rooms, to add to the experience. Children’s birthday parties bring in adults; parents of guests who stay to help supervise or to chat to each other and enjoy the fun. These parents are all potential customers who will most likely want to purchase drinks and who will be happy to buy snacks and light meals too, if you have an enticing choice. The end of the party presents a great opportunity to hand out leaflets offering exclusive discounts to encourage guests and their parents to return. 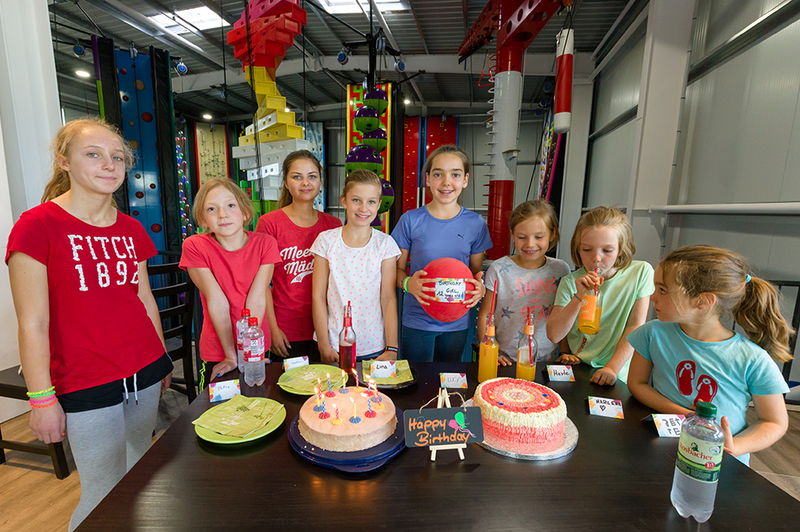 If you want more information on making birthday parties both memorable and profitable, along with further ideas on how to best utilise Clip ‘n Climb facilities, get in contact with our team today.